The Nile Deep-Sea Fan (NDSF) is located on the passive continental margin off Egypt and is characterized by the occurrence of active fluid seepage such as brine lakes, pockmarks and mud volcanoes. This study characterizes the structure of faunal assemblages of such active seepage systems of the NDSF. 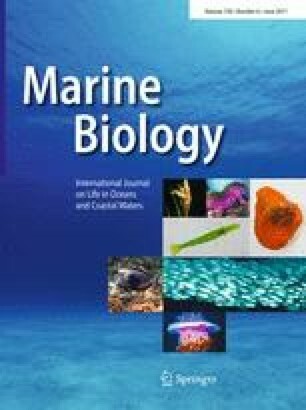 Benthic communities associated with reduced, sulphidic microhabitats such as sediments and carbonate crusts were sampled by remotely operated vehicles during two cruises in 2006 (BIONIL) and 2007 (MEDECO). Environmental conditions and biological factors including family-level faunal composition, density and diversity were measured at local and regional scales. Significant differences were detected at different spatial scales: (1) the fauna of reduced habitats differed substantially in activity, diversity and biomass from the non-seep environment at similar water depth, (2) cold seep microhabitats showed differences in community structure and composition related to substratum type as well as to the intensity and location of fluid emissions. The captains and crews of the R/V Meteor and R/V Pourquoi pas? as well as the pilots of the ROV Quest4000 and Victor6000 are warmly acknowledged for their dedicated assistance and for contributing to the success of the two cruises. The chief scientists of the two cruises were A Boetius (BIONIL 2006) and C. Pierre (MEDECO leg 2). The faunal samples were identified by a network of taxonomists from the Muséum National d’Histoire Naturelle de Paris (France), the German Centre for Marine Biodiversity Research (Germany), the University of Lodz (Poland), the Russian Academy of Sciences of Moscow, the Kamchatka Branch of the Pacific Institute of Geography of Petropavlovsk-Kamchatsky and the Institute of Marine Biology of Vladivostok (Russia). Biogeochemical analyses were supported by Viola Beier, Tomas Wilkop, Janine Felden, Anna Lichtschlag and Dirk de Beer (MPI for Marine Microbiology). The bathymetric maps were made with the data acquired and processed by Jean Mascle (Géosciences Azur) and Stéphanie Dupré (Ifremer). The first version of the manuscript was professionally edited by Carolyn Engel-Gautier. BR’s thesis was entirely funded by the French Institute for the Exploitation of the Sea (Ifremer). This research project benefited from funds from the HERMES and HERMIONE European projects (contract # 511234 and #226354) as well as from the ANR DEEP-OASES (ANR06BDV005) and support from the GDR ECCHIS. Additional funds were available from the DFG (METEOR expedition M70-2) and from the Max Planck Society.